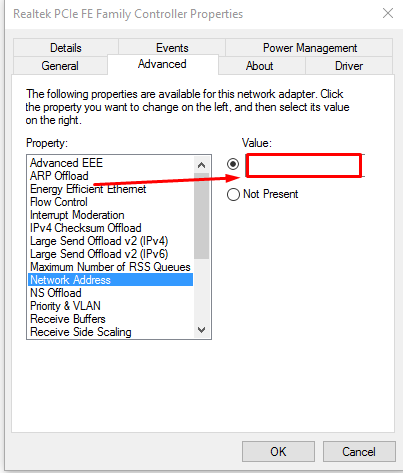 How To View Your Current MAC Address? 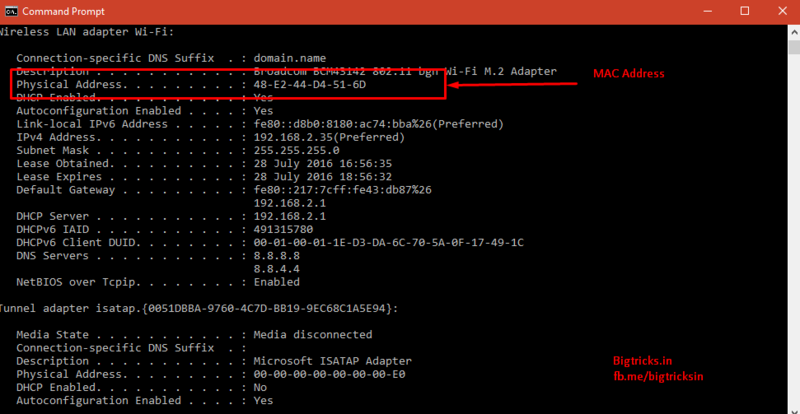 How To Change Mac Address: Hello Friends Today i Gonna To Show You How To Change Mac Address Of Your Wifi Or Lan Adapter. You May Ask Why You Need To change Mac Address Because Sometimes Some Wifi Providers Allow To Use Internet For Only Those People Who Have Registered Their Mac Address With Their Network So Anyone Can Not Be Connected Even If The Wifi is Of Open Security So For Connecting From That Network You Can change MAC Address OF Your Device To A Registered One. (If You Get To know One Of The Registered MAC Address). So This Article Will Clearly Explain You How You Can Change Mac Address Of PC Running On Windows. First , Open Command Prompt . That’s It This Is Your MAC Address. Most Of The Network Card Allow To Change Their Physical Address By Commands . First, Go to Network And Security Center . Now Select Desired Adapter , For Which Setting You Want To change. Now Right Click On The Adapter , And Goto >> Properties . Click On Configure >> Advanced . Now Fill The New MAC Address Without Dashes Or Colon. You Can Check Whether Address Was Changed Or Not By Above Method. 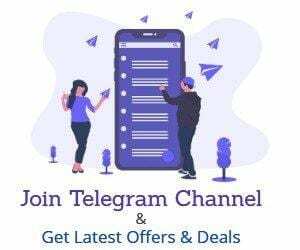 Now You Can Connect Even On Protected Network Also. 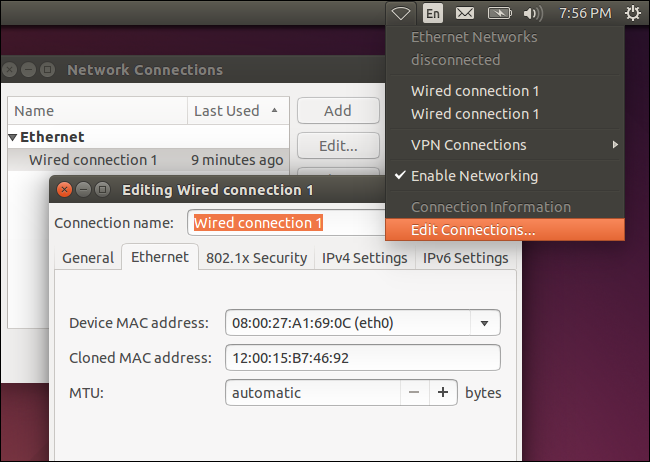 Modern Linux like Ubuntu typically use Network Manager, which provides a graphical way to spoof a MAC address. You Can Enter Any Mac Address In Cloned MAC Address Field. 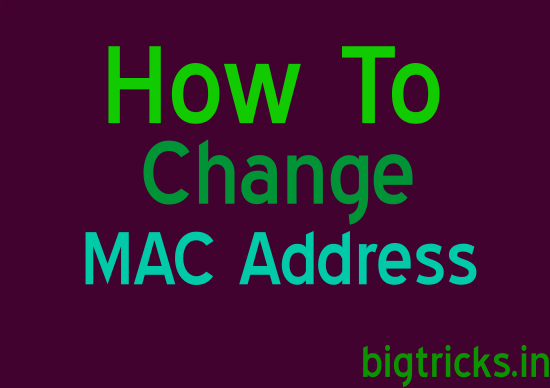 In This Post I Hope You Able To Know How To Change MAC address Of Pc Please Keep Visiting For Such More Tricks And Tips . Like Our Facebook Page For Right Corner Of This Blog. You Can Also Subscribe Whatsapp Notifications Also.